The Tallest Man on Earth's I Love You. It's A Fever Dream. comes out April 19. Note: NPR's First Listen audio comes down after the album is released. However, you can still listen with the Spotify and Apple playlists at the bottom of the page. 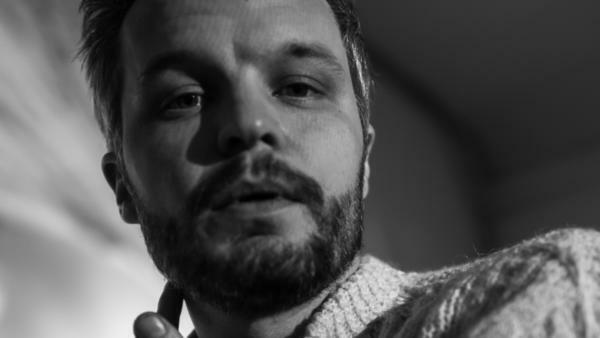 There's a prevailing image of The Tallest Man of Earth — Swedish folk singer Kristian Matsson's musical moniker — of a wayward, sometimes homesick vagabond in the constant pursuit of adventure. Maybe it's the abstractions of nature that he's swooned about for so long, or the landscapes-as-album-art that sets his music in the passing daydreams of Americana nostalgia. He pines for the wild hunt, for the thrill of the trail — even in the midst of personal crisis, as was the case with 2015's lonesome Dark Bird Is Home. So when I Love You. It's A Fever Dream. begins with a mundane drive to a hotel bar, it's a little unnerving. "The end of night, I hum along / The driver's turning up the dancey song," he sings, the click of footsteps establishing the song's mise-en-scene. "How many heartaches in this car, I wonder?" It's still a Tallest Man On Earth song. Mattson plays a spindly guitar twirl, as a single horn encroaches over his window-gazing thoughts. The story's just a bit different now. No longer is he a poet of travelogues and histories, spinning yarns that blur the line between the vastness of imagination and lived experience. With I Love You. It's A Fever Dream., his first new album in four years, The Tallest Man On Earth tells the vast stories that comprise his inner self. That doesn't mean he's closed off his sense of wonder, or that he's composing navel-gazing solitary dirges. Matsson seems to have figured out that the crests and valleys of our interiorities are just as beguiling as the vast expanses around us. He's touched upon this at times, in the most gutting moments in Dark Bird is Home, or in "The Dreamer," the first plugged-in cut Mattson ever made and a fan favorite. But here, as in "The Dreamer," subtle poetics and extended metaphors are punctuated by lines of total clarity. "I see stars in the sky / And I wish they'd return to be in me now," he sighs in "The Running Styles Of New York," a cutting line that tethers the feeling of inadequacy to the judgmentless, boundless beyond. "Make up for what I lack somehow / When it's all been too much." He returns to a similar motif on "I'll Be A Sky." "I travel the fever road, I travel the clouds of my mistakes and sure I can drift away, but I'll just be around the corner of your love," he sighs on "I'll Be A Sky," There's an evolution taking place, both lyrically and musically. 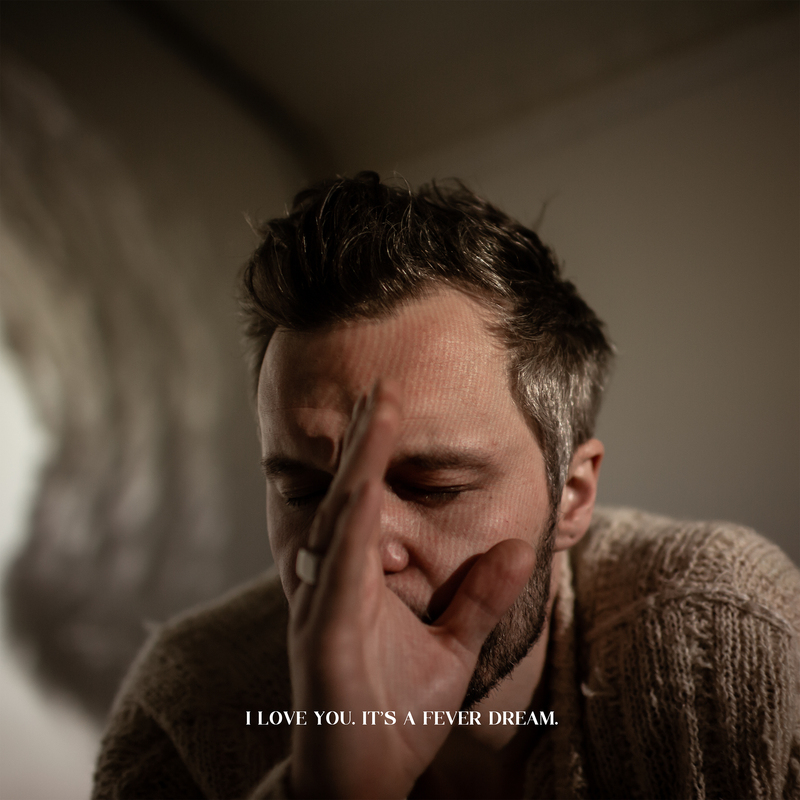 Matsson's always been something of an independent musician, but I Love You is his first as a wholly autonomous artist — singing, producing and recording the whole affair in his home. When he embarks on tour this year, he's bringing himself, a piano and a guitar. It feels like a personal challenge set upon himself, both to re-discover the sound that painted him as the preeminent Swedish one-man folkie reviving the genre and to update that sound over a decade after his initial breakthrough. Where at times the newfound toolkit of Dark Bird is Home threatened to overshadow the singular beauty of Mattson and his guitar, the additions here never feel excessive or overly ornate. There's a lot of familiar terrain here. "My Dear" resembles a smoothed-up version of a scuffed-up demo, Matsson's picking as stunning as ever. It's bolstered by a faint screech of a violin. Twinkling bleeps abound on "What I've Been Kicking Around," an otherwise unplugged affair that hearkens back to the heartstring-tug arrangements he mastered so early in his career. Once we've reached the end, the title track lays bare Matsson's conclusion in the wake of a devastating divorce and death: "But I keep the hope I carry, little things so I can love wherever I go now," he sings emphatically, drawing out the now over a solitary horn. All this is to say: Now that he's weathered the worst within himself, he's ready to venture forward once more.